Blue Hole in Dwerja is probably the most famous scuba dive site in Malta, and one of the most beautiful dives of the Maltese Islands. This is nice place for swimming, snorkeling, and freediving too. Blue Hole is a circular rock formation, a sinkhole in the limestone, about ten metres wide and five metres across. The hole is a sheltered pool as it is protected by a fringe of rock, and divers can safely enter and exit the sea. Blue Hole is often dived in the afternoon when winds start to pick up and other dive sites become more and more inaccessible. Depth in Blue Hole is about 15 m. A beautiful archway or underwater window leads from the hole into the open sea at 9 m deep. The walls of the hole are covered with colourful coral tubeworms, sponges and other small marine life. Outside there is a great number of large boulders. On the opposite side to the window there is a large cave. 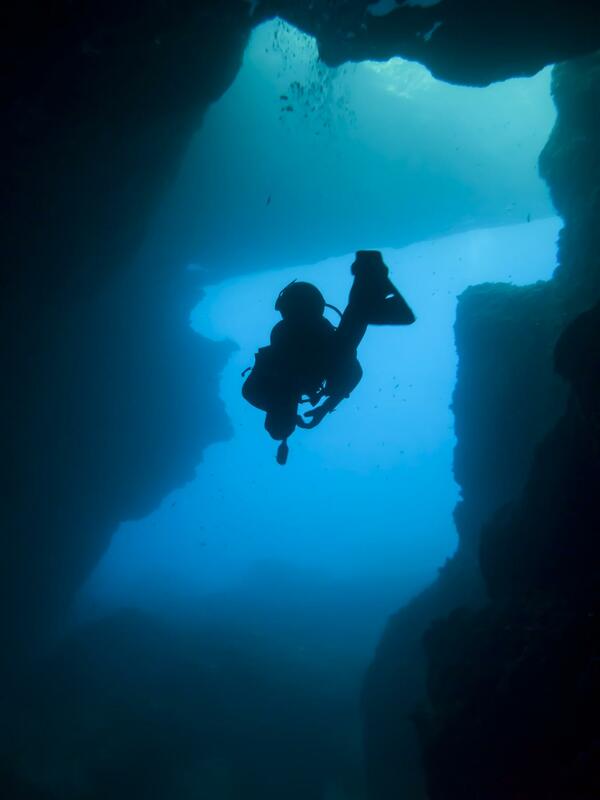 Blue Hole dive is usually combined with diving Azure Reef (former Azure Window) or Coral Gardens. One can also enter from Inland Sea and exit through Blue Hole, or vice versa. Blue Hole can be reached after a 200 m hard walk over the rocky shore, but the dive is definitely worth carrying equipment there.